Last weeks party was record setting!! We had 119 party goers and let me just say the inspiration was overwhelming. I am pretty sure I made it by to visit each and every link. If I missed you I apologize but I am pretty sure I got to each and every one who linked up. Because the party has been growing by leaps and bounds as a thank you on Tuesdays I will now be featuring the top three links with the most views! So far the response has been positive and you are saying this is what y'all want to see so anything to make the party more fun and inviting for y'all. Now on to my personal top picks from last weeks party. 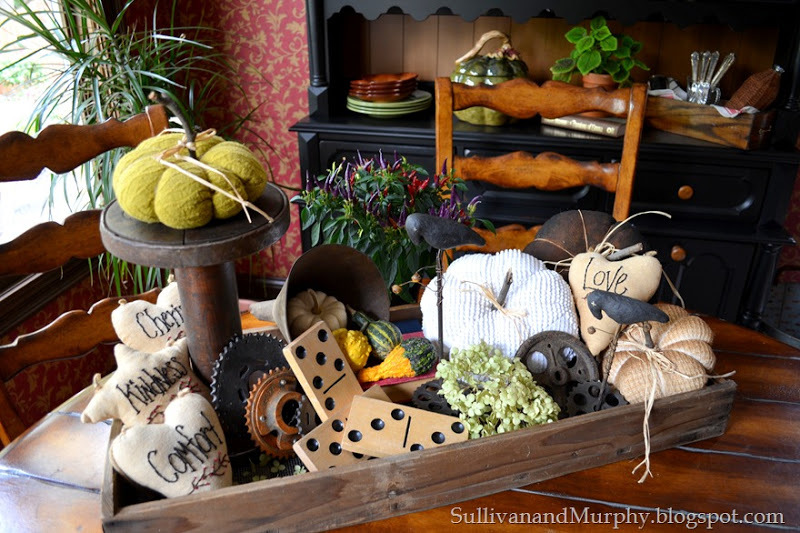 Sue over at Sullivan & Murphy caught my eye with this fabulous fall vignette. I love the old dominoes. Kristin from Sophia's shared her new craft room. Look at that vintage clock collection! I would never leave my craft room is it looked like this. 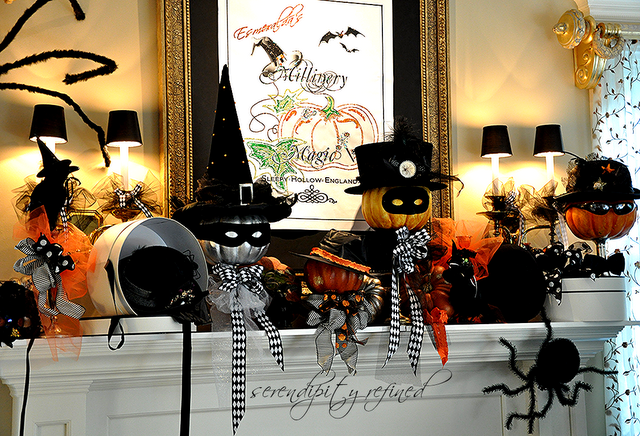 Kimberly from Serendipity Refined stopped me in my tracks with her amazing Halloween mantle and hearth. Truly one of a kind. Angela from Number Fifty-Three shared her out of this world dining room. I love the candle stick display on the buffet but what first caught my eye is her book page wall! I just love it. 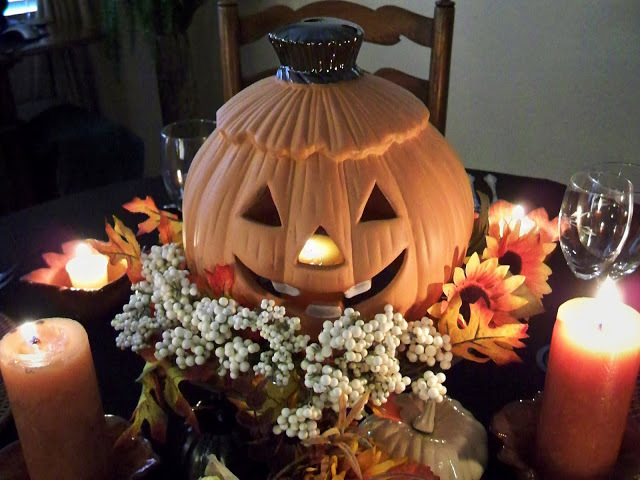 Last but not least I could not resist this jack o' lantern table scape that Marty from over at A Stroll Thru Life shared with us. It just makes me smile. Thanks for hosting, happy Wednesday! Love, love, love all the gorgeous features! Thanks for hosting this fun party...great features! Thanks for hosting, Pamela! Great features!! Hi Pamela; thanks for hosting. I loved the features this week and have visited their sites to read the full posts. Thanks for hosting! The features are gorgeous! 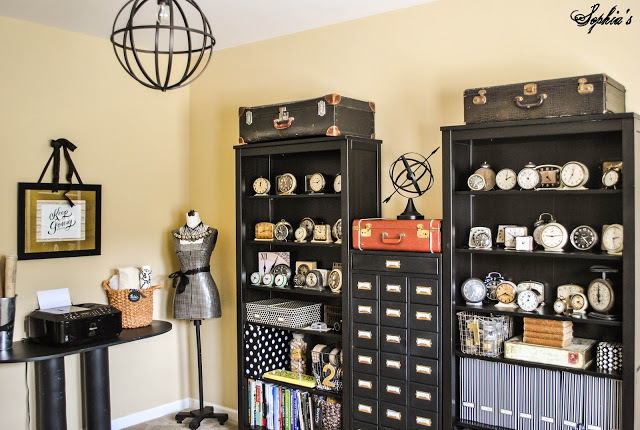 I would just DIE for that craft room!! Thank you so much for hosting and for featuring my dining room! Thanks so much for hosting! Hope you enjoy the rest of the week! Great features...Thanks for hosting Pamela and have a great weekend! Hi, Pamela! I feel like a long lost blogging friend! So glad to be joining your party this week. Wonderful features! Thanks for hosting! This is my first time at your party... I am loving it!! Thanks for hosting Pamela. Nice vignettes in the features this week. Thanks so much for hosting!!! Love your fall features! So glad to be here Pamela but I'm dreadfully late. I'm going to stay a while and visit. Thank you so much for hosting! I linked up tonight. Love the features! I'm just a new follower from FRANCE where we don't have those wonderful linkies parties ! 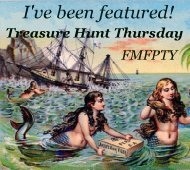 so thank you so much for hosting and allow me to discover others blogs ! So many great links! I'm happy to be joining the fun.